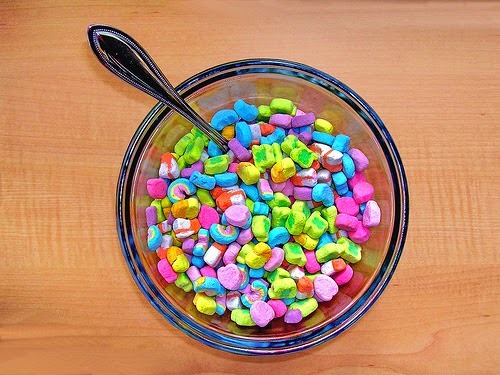 Notes and Nerds: Breakfast Wish... Granted! Remember when you young and you thought it would be awesome to have a cereal made outta nothing but cereal marshmallows... wish granted! This 8 oz box of sweet, sinful sugar is totally for you. 100% tasty, crunchy marshmallows. 0% cereal. It's a delicious part of any unbalanced breakfast. Exclusively at it's sugar. 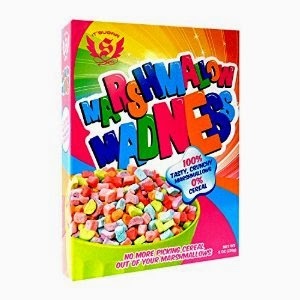 Marshmallow Madness Candy Cereal can be found on Amazon.com for $11.99 + $6.95 for shipping.